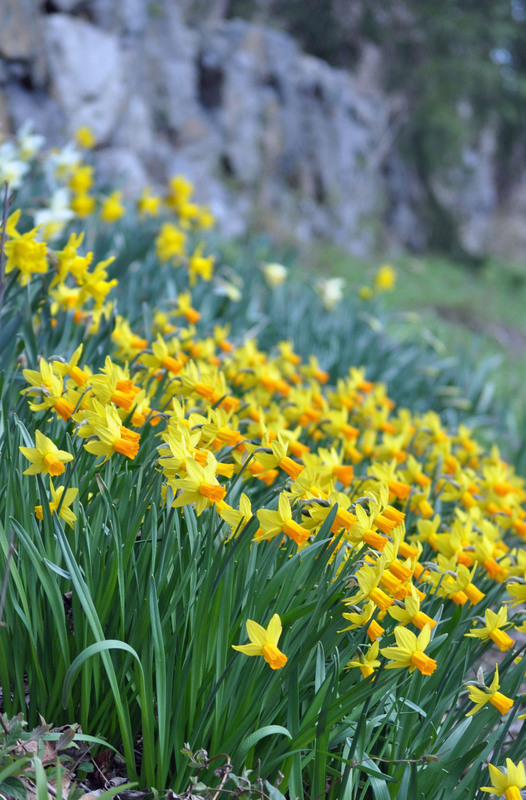 If you love daffodils, pancakes and historic homes, you won’t want to miss Daffodil Day in Thornbury Township Saturday, April 13th! 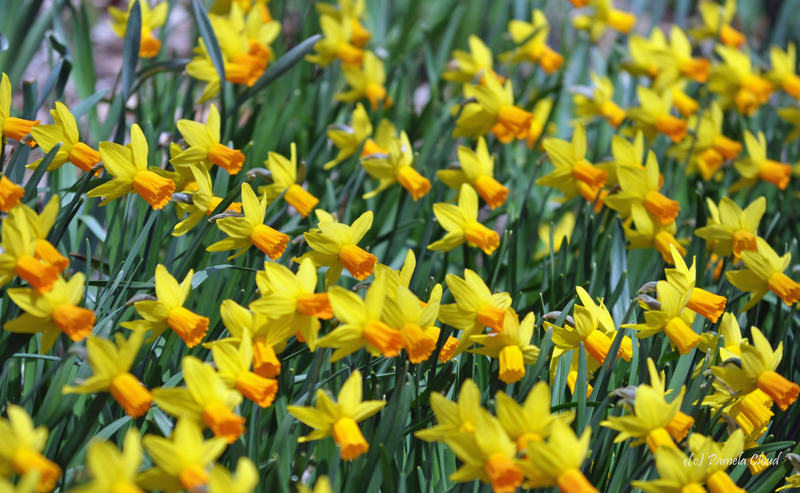 Hosted by the Thornbury Historical Society, it’s a day to celebrate spring, admire thousands of daffodils planted throughout the township and get a glimpse into some special and historic township homes. Daffodil Day opens with breakfast, held at the Glen Mills Schools cafeteria, where guests will enjoy an all-you-can-eat pancake breakfast cooked and served by local chef Ted Pace and a team of volunteers. The pancake breakfast is a popular tradition, now in its 27th year. It’s a great time to catch up with friends and neighbors and see the remarkable 800 acre campus, not typically open to the public. The stone fence that surrounds the campus has one of the best displays of the daffodils in the township. (see photo above). Founded in 1826, Glen Mills Schools is the oldest continuous running school of its kind in the country. Thornbury’s Parks & Recreation Board started the daffodil project years ago with the objective of beautifying Thornbury township one road at a time. Each year, a different area of the township is chosen and, with the help of volunteers, the roadside is planted with daffodils. “Daffodil Day,” inspired by Joan Dehm, President of the Thornbury Historical Society, started eight years ago with the idea of combining the popular pancake breakfast with the historical home tour for a full day of events. This year there are seven private homes on tour, each with their own unique story, including a quaker stone farmhouse, a home that has origins as a schoolhouse, and a three story “bank” house with a contemporary addition. Most homes date back to the 1700 and 1800s and are within a five mile radious of the Glen Mills Train Station. The Glen Mills Train Station is an architectural gem itself. Designed by Frank Furness in Queen Anne style, the station was built in 1881, offering routes to Philadelphia and Baltimore. The route was open until 1986 and the station is now home to the Thornbury Historical Society. 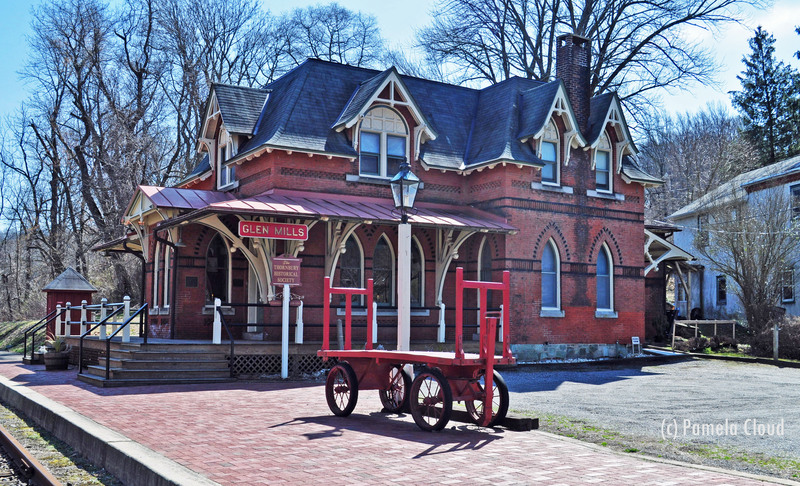 Glen Mills Train Station, home of the Thornbury Historical Society. This year, there is another interesting stop on the tour. 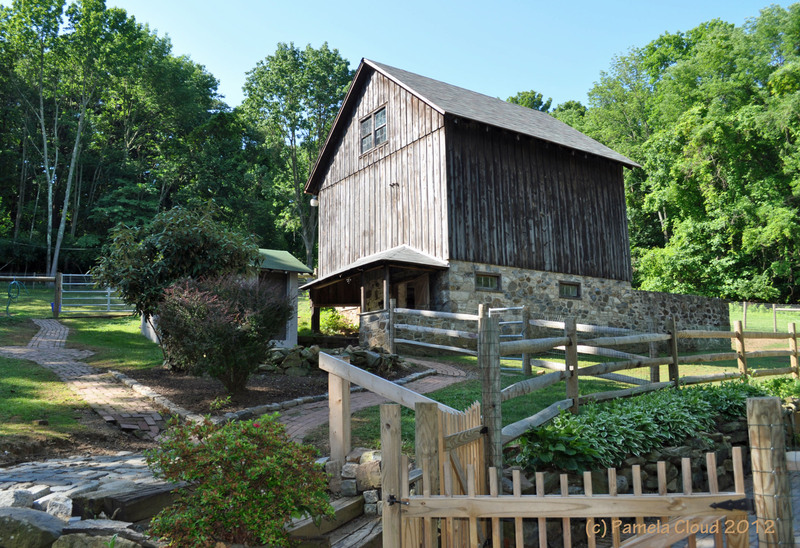 Did you know that Glen Mills is home to a stone quarry? For those who don’t mind a little dust, you can take a tour with Kevin Cantalupo, the Plant Manager for Hanson Aggregates Quarry. Baltimore gneiss has been mined here since the late 1800s. When you look at the quarry from the top, you would never guess that this is sitting in the middle of Thornbury township! 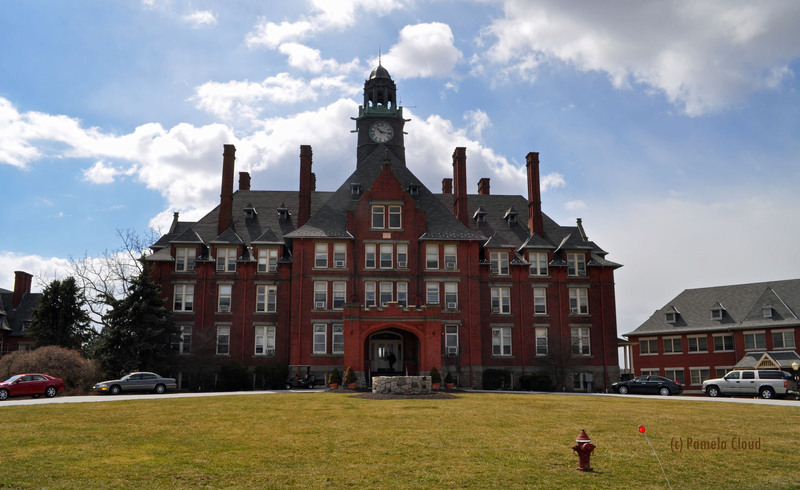 The tour will take you from the stockyard to the overlook and right down to the bottom. It’s a fascinating place that is seldom seen by outsiders! 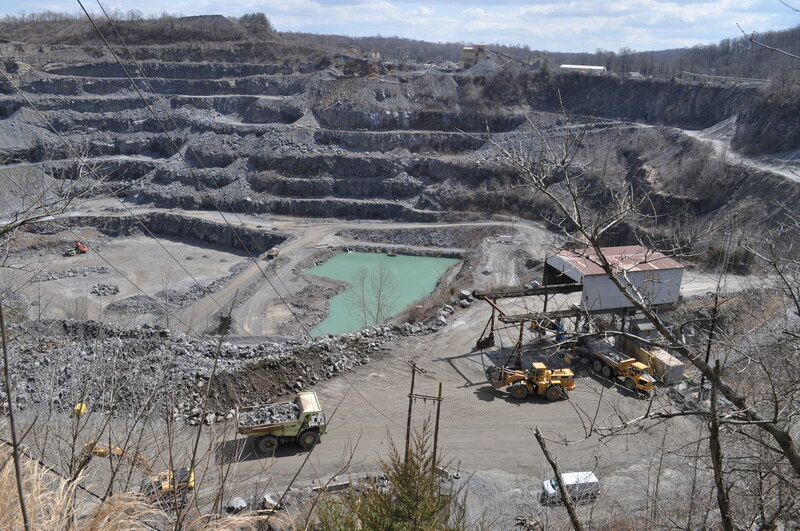 View from the top of Hanson Aggregates Quarry, Glen Mills, Pa.
Thornton Village Shops will be open and you can also get stop by and see our herd of local alpacas at Trotter Hill Alpaca Farm . Pre-ordered and pre-paid box lunches will be available for pickup at Bethlehem United Methodist Church on Westtown Road or you can pick up some Jamaican fare from Chef Shamona at the Farmer’s Market on Thornton Road. Trotter Hill Alpaca Farm is located on Locksley Road in Thornbury township. Grace Winery at Sweetwater Farm will be open from 12pm -5pm. Feel free to stop by during that time and purchase a glass of wine after the tour. I can’t think of a better way to end the day. Hope to see you there! For the pancake breakfast, tickets will be sold at the door; $7 for adults; $3 for children under 10 years old. Tickets for the home tour can be purchased at the Thornbury Township building in advance for $25 or for $30 at the pancake breakfast or Glen Mills Train Station the day of the event. The tour runs from 10:30am-4pm. In consideration of the homeowners, please no children on the tour under the age of 12. Please leave pets, strollers, backpacks and cameras at home. All visitors must present a ticket at each event. For more information contact Joan Dehm at 610-358-3397 or Jean Mackenzie at 484-840-9252.